Simple and intuitive to use and highly programmable and versatile; there is something for every type of thinker. 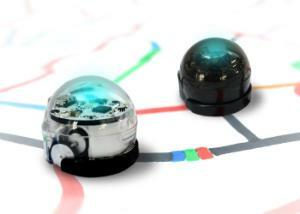 Ozobot Bit’s ability to learn your programs, and then play them back is a big game changer to how young minds play and learn. 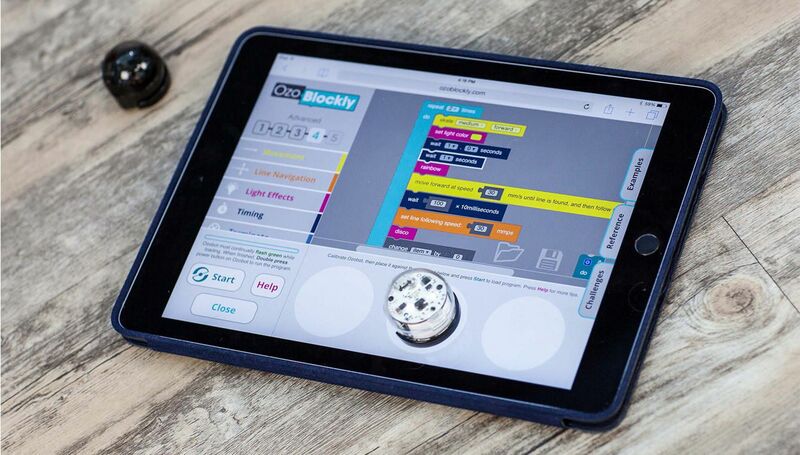 OzoBlockly.com - a web-based visual editor - offers five step up modes from icon-based to loops, logic and equation blocks to appeal to young kids and even to challenge the seasoned programmers. 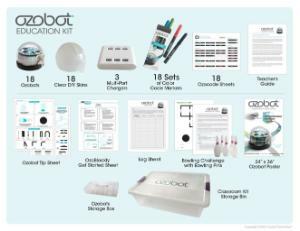 Ordering information: Ozobot single kit includes 1 Crystal White Ozobot Bit, 1 custom skin, 1 carrying case, 1 USB charging cable, a demo playground, and Quick Guide instruction booklet. 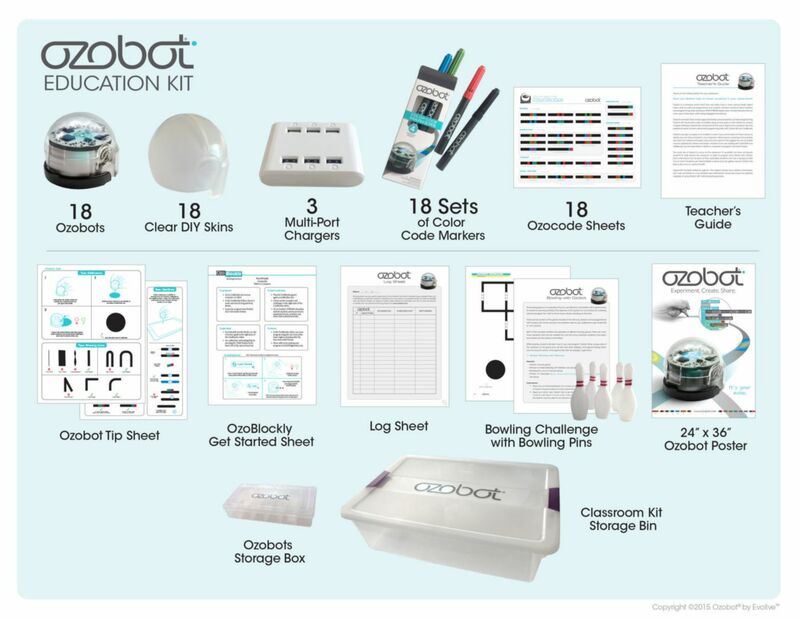 Ozobot Classroom Set includes 18 Crystal White Ozobot Bit, 18 custom skin, 18 sets of colored markers, 3 USB Multicharges, 18 Ozocode sheets, 1 teacher's guide, 1 Quick Guide instruction booklet, 1 storage case for 18 Ozobots, and 1 Storage case for the all the materials.